It's finally over. 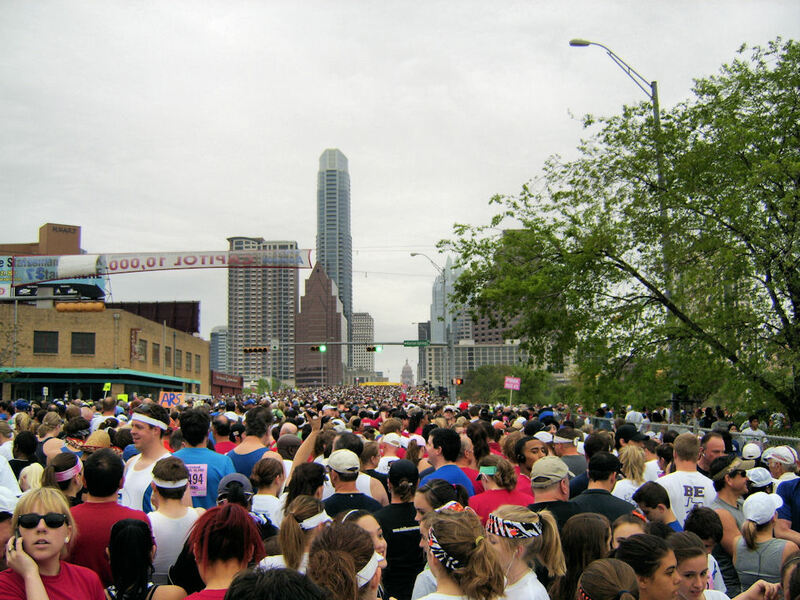 I ran my first 10K yesterday in Austin. I finished the race in 1:19:07. Not a great time, but I didnt finish last. I love the thrill at the start of the race. Running up Congress Ave towards the Capitol building with 23,000 other runners is so surreal. Last year I walked the 10K and took pictures along the way. This year I had a camera, but after this shot it went into my pack and I ran the race. I'm ready for next years race.